The verbal report is “normal,” and he is discharged home. 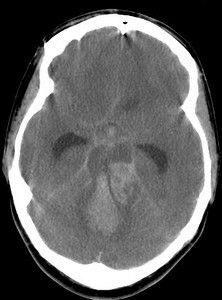 This devastating subarachnoid hemorrhage was preceded a week earlier by a tiny bleed in the region of the left posterior cerebral artery, a hemorrhage so small in fact that is was not identified on the radiologist’s formal reading. 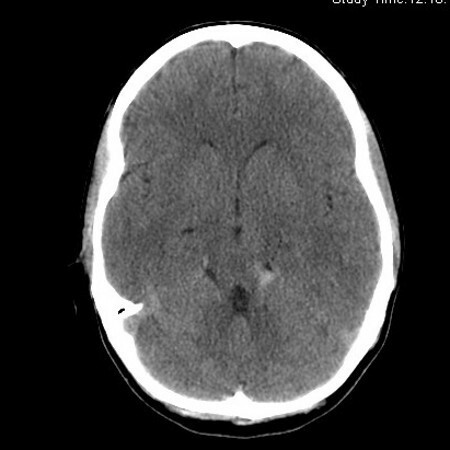 The patient experienced a sentinel headache that heralded the aneurysm rupture that took his life a week later. In the case of a suspected subarachnoid hemorrhage with a negative head CT, consider lumbar puncture to look for RBCs or xanthochromia in the CSF.